Hello and welcome to our third release. This time we reflect about Property Value with some friends: Tadeo from Spain, Alexander Kowalski from Germany and Kino Internacional from Spain. The original PROPERTY VALUE is a hard to classify tune. 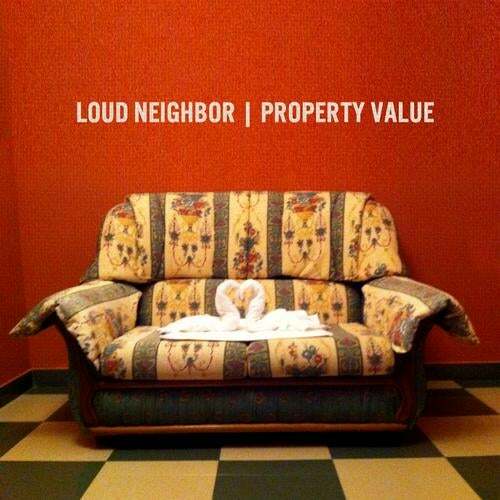 Definitely between the parameters of techno music, Property Value also has a strong funk attitude, an epic pop flavor and a twist of trancey vibes. It grows slowly, creating a dark and moody atmosphere. The analogue arpeggio, dubby bass and the hypnotic sounds surrounding build an oppressive and mysterious feel. Everything fades down BRING IT ON!!! The arpeggio evolves transforming all the darkness in deep, euphoric emotion. The strings add even more tension to meet a new wave style melody that keeps growing till a drone like lead takes everything to the next level, making everybody fly over the dance floor. Property Value is an autumn dance floor killer! Spanish techno kooky scientist, Tadeo, takes all the hypnotism to create one of his distinctive hypnotic techno pieces. Using the most mysterious elements of the original, our beloved techno master creates a timeless techno track. Hypnotic, oppressive, full of tension The beat never stops, the tension never drops. The 909 ride cymbals act like adrenaline, direct to your brain and heart. A perfect choice for darker sets! Remix? Re-interpretation? Well, who cares? German techno wizard, Alexander Kowalski, uses some of the original sounds and adds a lot of his own sound bank, keeping the original feeling, but taking it to his own territory. Powerful yet delicate, Here Kowalski changes the analogue saw tooth waves for some digital pulse and sine waves, resulting in a smoother sound, focusing on the arpeggio and creating a classic epic techno anthem. Our good friend Kino Internacional, a.k.a. Álvaro Granda, delivers the deepest version of the pack. Subtle, beautiful, evocative His re-interpretation goes deep into a dreamful vibe, with layers of beautiful synths and a soft funky beat that creates a wonderful piece of futuristic and electronic tech house. A tune that makes you dream while dancing or dance while dreaming. To complete this set of great tracks, Alexander Kowalski delivers a bonus beats track that, in our opinion, is a lot more than bonus beats. Keeping it simple, maintaining only the most hypnotic elements of the original and adding a lot of extra effects and arrangements, Here Kowalski builds a huge straight techno track full of tension and dj friendly attitude. Perfect to bring the dance floor to a higher state of dancyness, solid, straight forward and effective. Big room techno at its best! Stay tuned for some more noises from your LOUD NEIGHBOR! !